Petit Manseng is a white-wine grape originating in southwest France; while it populates that entire region now, it is thought to have begun in Jurançon. 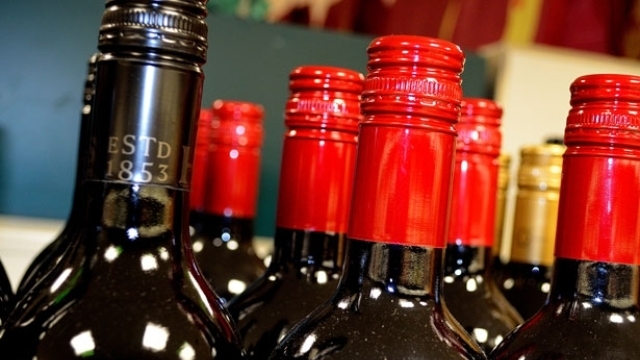 It is generally considered one of the dozen and a half or so of world-class red-wine grapes (those in boldface in the varietals list to the left of the page), but almost entirely because of its role in the classic dessert-wine blends of the region. It is only rarely bottled as a monovarietal, or even dominating ingredient of a blend, except as sweet wine. Petit Manseng grapes are naturally very high in sugar. If they are grown to anything like ripeness (as they must be for the wanted flavor), they simply cannot be vinified "dry", else their alcohol content would reach the 16% to 17% range. 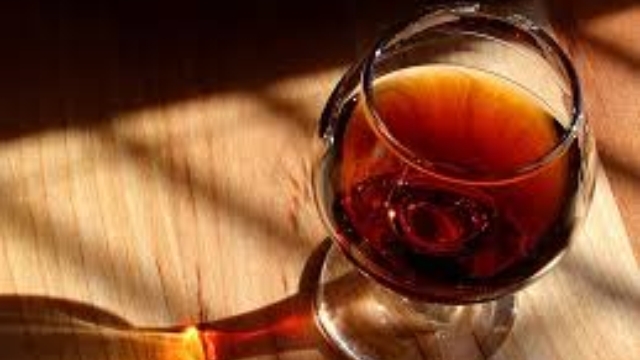 Thus, vinification is stopped when the alcohol is at an acceptable level, leaving substantial residual sugars and a wine that can only be a dessert wine (or a component of one), though it does have quite high acid levels (which help to partially neutralize the sensation of sweetness). The flavor of Petit Manseng is typically described in the terms usual in wine writing for rich whites. Alphabetically: apricot, baked apples, baked pear, beeswax, brown sugar, cinnamon, citrus peel, green apple, honey, honeysuckle flower, lemon curd, lemon marmalade, melon, mint leaves, orange marmalade, pineapple, popcorn [sic], ripe grapefruit, roasted almonds, ruby grapefruit, walnuts, white peach, and last but not least the inevitable "touch of stony minerality". We reckon you get the idea. (Wouldn't you like to be a wine writer when you grow up? And learn the difference between just plain grapefruit in wine flavors and ruby grapefruit?) All of which can be summed in Isaac James Baker's terse but sufficient "zippy acid and gobs of tropical fruit". Factoid: Petit Manseng is noted as the only wine used to baptize a king of France: Henry IV, the founder of the Bourbon dynasty, in his native Navarre. "Petit Manseng has the potential to produce intensely flavored wines with high acidity, apricot and quince fruit along with spicy and floral notes. 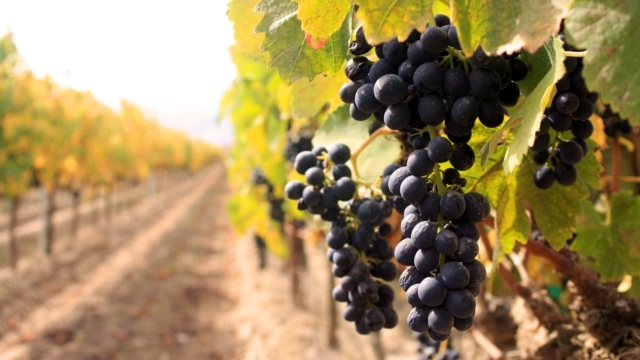 The time of harvest will play a large role in the type of wine that the grape will produce. When it is picked at a potential alcohol level of 11.5-12%, the resulting wine will have more delicate characteristics of fresh fruit and flowers. If picked later at a potential alcohol content of 12.5-13.5%, the flavors will be much more intense and powerful." 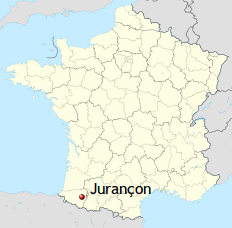 "The vine originates in the Jurancon region of southwestern France, where it is highly regarded. Wines made from this variety in the Jurancon are typically of exceptionally high quality and can be very aromatic. Aromas of the wines are suggestive of cinnamon, peaches and pineapple." "Wines made from Petit Manseng were very aromatic and were of very high quality. Petit Manseng wines fit a particular niche market, I believe. Finished with some residual sugar, they make excellent dessert wines. Dry Petit Mansengs are sort of like dry Rieslings or dry Gewurztraminers - if you aren't certain where to serve the latter two, you might have the same dilemma with a dry Petit Manseng." "It is very versatile. It offers a wonderful aroma of floral, citrus and tropical fruit. The taste will often suggest apricot and grapefruit, however when harvested late and made into a dessert wine there are honey notes. 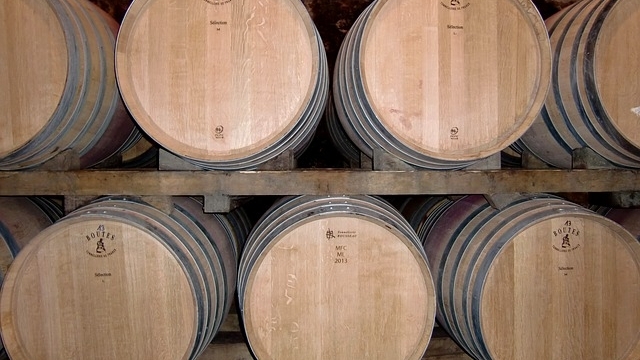 The acids are usually high enough to provide a crisp finish." "Petit manseng's small berries and thick skins translate into bold tropical and floral aromas. On the palate, the wines frequently show zippy acid and gobs of tropical fruit." There are very, very few actually dry (not "almost seems dry") monovarietal Petit Mansengs available, especially in the U.S. In fact, we found only one that seems decent, reasonably available, and not super-priced. ♦ Who would have thought it? Here's a really satisfying dry white made from an indigenous Basque variety grown just north of Rome…To produce [this wine] the Petit Manseng berries with their thick skins are kept on the vine until well after most other grapes have been picked and, as in Jurançon vineyards, are encouraged to shrivel. Petit Manseng…keeps its acidity particularly well so this wine is much nervier than one would expect for the latitude. The grapes are given a bit of skin contact before spontaneous fermentations and the wine aged for a few months on the lees before bottling. It is still delightfully fresh and really offers some substance to chew on. I mean flavour – somehow attractively reminiscent of furniture polish – rather than astringency. ♦ [Google-translated from Italian] Initially fruity aromas of yellow apple and then tropical papaya and similar to those of the aromatic Traminer, but then surprisingly turns with a final note of hay that reminds me of some greek tuff [sic]. Magic Petit Manseng grape variety can express a good level of acidity even at very ripe grapes. A full taste, what can be said of Petit Manseng Lazio IGT Casale del Giglio is that even in this case has a double face, warm and strong at the beginning…fresh on the finish that still maintains a good flavor. ♦ [Google-translated from Italian] Golden color, nose reminiscent of the sweet tones mate achievements: yellow apple, pineapple and papaya in the first impact, then hazelnut cream, floral qualities and yellow tones cereal. And 'giallissimo in the mouth, of good structure and well integrated alcohol. It does malolactic (otherwise svaccherebbe) and drink, not very long, gains. It reminds me of some Falanghine flegrei but with less momentum acid. But 'I'm Petit Manseng, we need or do not need it? ♦ Intense ripe fruits with aromas of lychee, peach and sweet pineapple. The palate has a wonderful freshness with hints of earl grey and a soft finish. ♦ [Google-translated from Italian] The wine is made in black with short cold maceration (7-8 ° C) for 10-12 hours. The pressing is very slow and soft, so as to respect the fruit. 10-12 hours. Start spontaneous fermentation (to enhance the varietal characteristics and aromatic) with yeasts on the second day of fermentation. After 10 days, at the end of fermentation, the wine is poured and cooled to avoid malolactic fermentation. It is bottled after a long stay on the lees, in March and April. Tasting: It has a bright straw yellow, intensely fragrant, spicy and aromatic. It is fresh, fruity and well structured. ♦ [Google-translated from Italian] Yellow STRAW bright, very intense aroma, Aromatic and spicy; taste fresh, very mineral, fruity, well-structured. ♦ This wine is 100% Petit Manseng that was de-stemmed with fermentation started by indigenous yeasts followed by added yeasts 24 hours later. It was aged for several months on the lees. This is a pale straw color. The nose is a touch floral. In the mouth there are rich white fruits with a creamy mouthfeel. The fruit starts off a bit ripe mixed with dusty stone flavors before the wine firms up. There is a persistent almond-like flavor in the aftertaste which is supported by acidity. It's quite scarce and somewhat pricey, but it's also Hobson's Choice for an upscale dry Petit Manseng. It's the Dagueneau Les Jardins de Babylone Sec.